Burial* She was buried in St. Mary's Cemetery, Section M, St. Mary's, Perth County, Ontario, Canada. 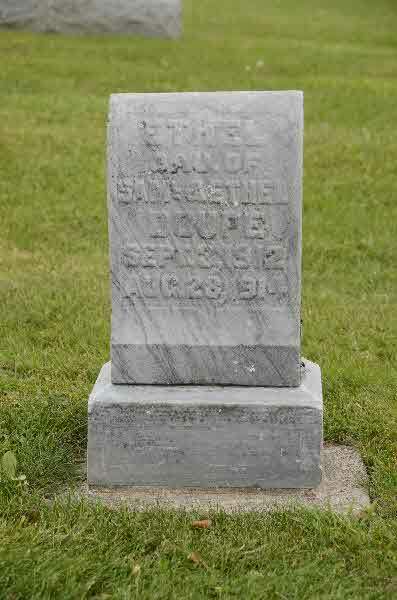 Burial* He was buried in Reidville Cemetery, Camden Twp., Lennox and Addington County, Ontario, Canada. 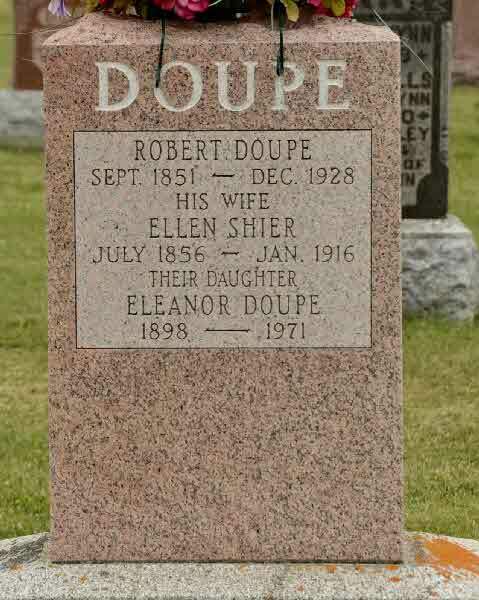 Marriage* Clarinda Elvina Doupe married Robert Alexander Case, son of Anthony Case and Mary Ann Burt, on 8 October 1884 in Mitchell, Perth County, Ontario, Canada. 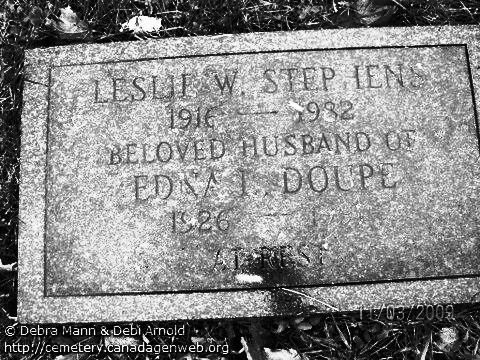 Marriage* Cora Luella Doupe married Lemoine Ethyl Coler on 25 July 1930; Cora Luella Doupe Coler of Port Crane, N.Y.Luella Doupe Coler, 89, passed away late Christmas Day 2003 at Wilson Hospital after a massive stroke at her home on Bally Hack Road, Port Crane, N.Y. Mrs. Coler was born on October 18, 1914 in Hanbury, Ontario, Canada, a daughter of George William and Mary Jane (Hetherington) Doupe. 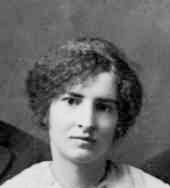 She came to the U.S. with her family on August 13, 1920. 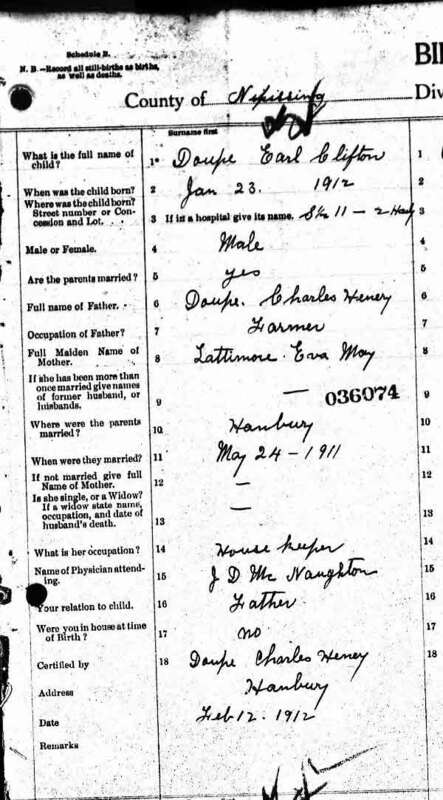 On July 25, 1930, she married Lemoine E. Coler in a double ceremony at the Methodist parsonage, Greene, while her sister, Verna Retta Doupe, married Earl Brown. She was last employed at Chenango Bridge Nursing Home. Previously, she worked for Links Corporation and E.J. Shoe Factory. She enjoyed her family, her dogs, cooking and helping and serving others. Besides her sister, Verna R. Brown, of Cincinnatus, she is survived by her sister-in-law, Margaret Chauncey, Vestal; cousins, Laura (Walter) Hobbs, New Liskeard, Ontario, Stewart and Lloyd Doupe, Ontario; and several nieces and nephews, Rev. Gary (Elaine) Doupe, Binghamton, LuVerne Doupe, North Carolina, Lauren (Connie) Doupe, Port Crane, Dennis Doupe, Greene, Amos (Carol) Doupe, Norwich, Mary Horton, Pitcher, N.Y., Jane (Malcolm) White, Cincinnatus, David (Charlene) Brown, Florida, Cathy (Bill) Tei, Cincinnatus, Anthony (Bessie) Brown, Norwich, Ronnie Brown, Cincinnatus, Wilma Brown, East Freetown, N.Y., Ginny Brown, South Plymouth; many grandnieces and nephews; and her neighbor and caregiver over the past months, Dan Hartmann. 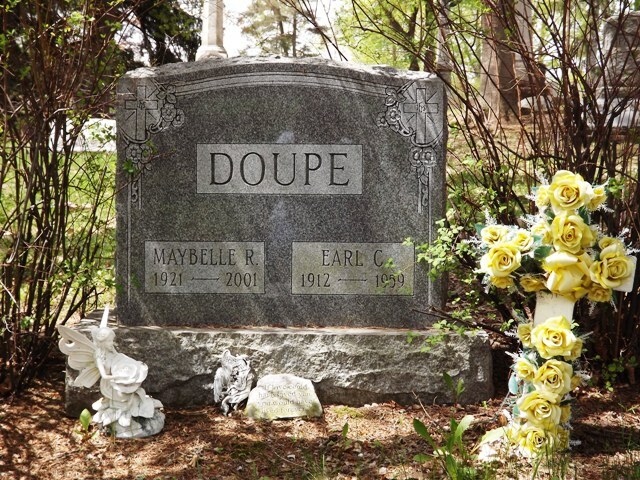 She was predeceased by her husband of 39 years, Lemoine Coler; her companion, Leon Bunzy; her sister, Doris Ella; brothers, Ed, Russell (Adelaide), and Harry (Marjorie Beardsley) Doupe; niece, Vera Doupe; nephews, Robert, George, Clifford, Rodney and Mark Brown. Birth* Earl Clifton Doupe was born on 23 January 1912 in Harley Twp., District of Nipissing (Now District of Temiskaming), Ontario, Canada. 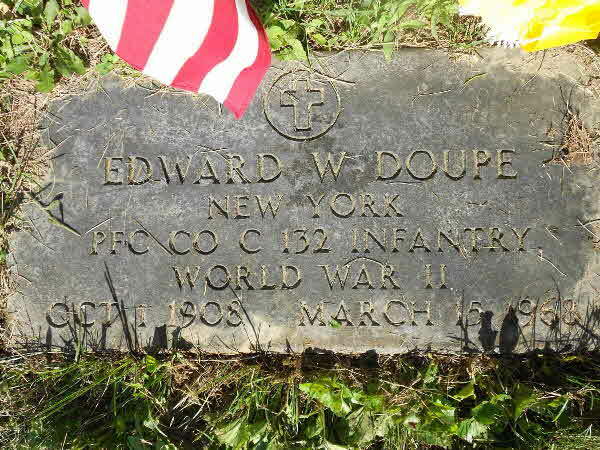 Burial* He was buried in Walnut Grove Cemetery, Jamesville, Onondaga County, New York, United States. Burial* He was buried in Bretteville-sur-Laize Canadian War Cemetery, Bretteville, France. 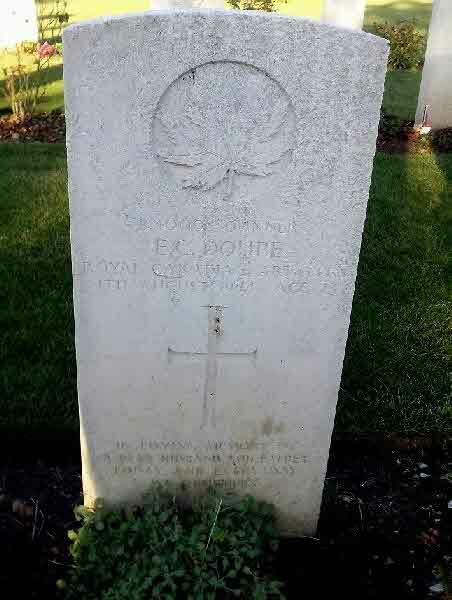 Fact 1* Edgar Charles Doupe is memorialized on Page 294 of the WW II Book of Remembrance on Parliament Hill in Ottawa, Canada. 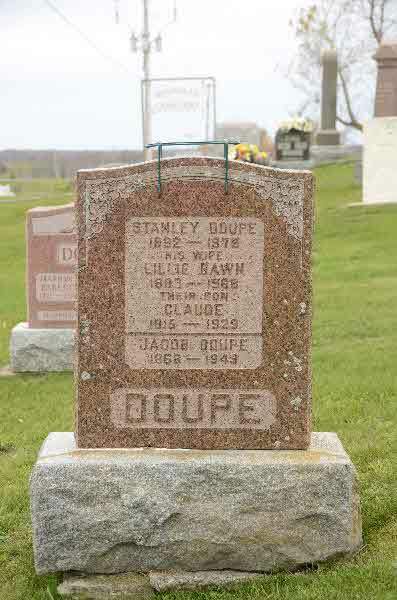 Birth* Edward Wesley Doupe was born on 1 October 1908 in Lot 7, Conc 2, Harley Twp., District of Nipissing (now Temiskaming), Ontario, Canada. 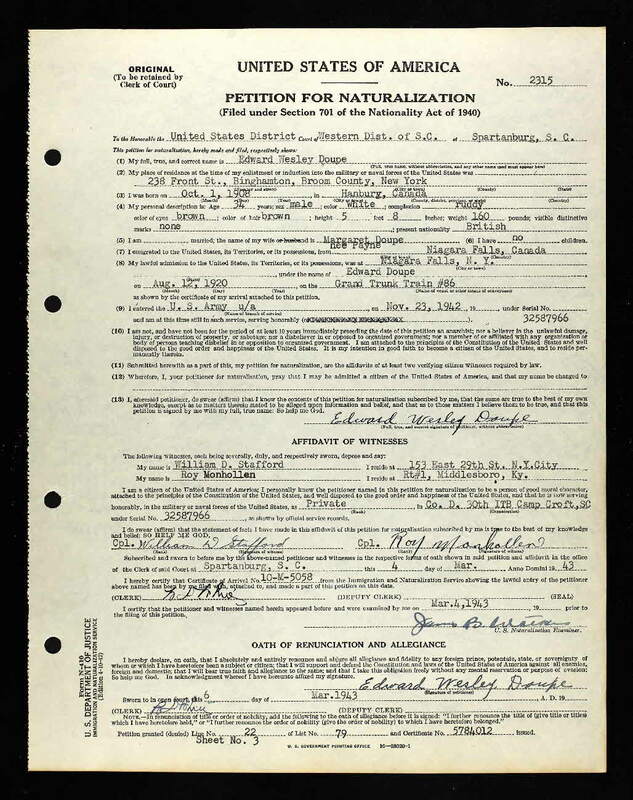 Naturalization* Edward Wesley Doupe was naturalized on 12 August 1920 in Niagara Falls, New York, United States. Burial* He was buried in Spring Forest Cemetery, Binghamton, Broome County, New York, United States. Burial* She was buried in Kirkton Union Cemetery, Kirkton, Huron County, Ontario, Canada. 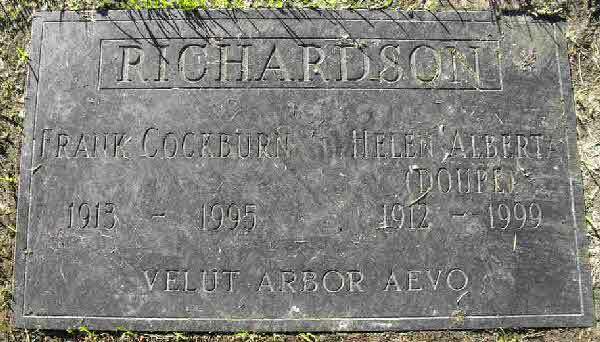 Burial* She was buried on 28 September 1963 in Egremont Twp, Grey County, Ontario, Canada. Burial* She was buried in Kirkton Union Cemetery, Usborne Twp., Perth County, Ontario, Canada. 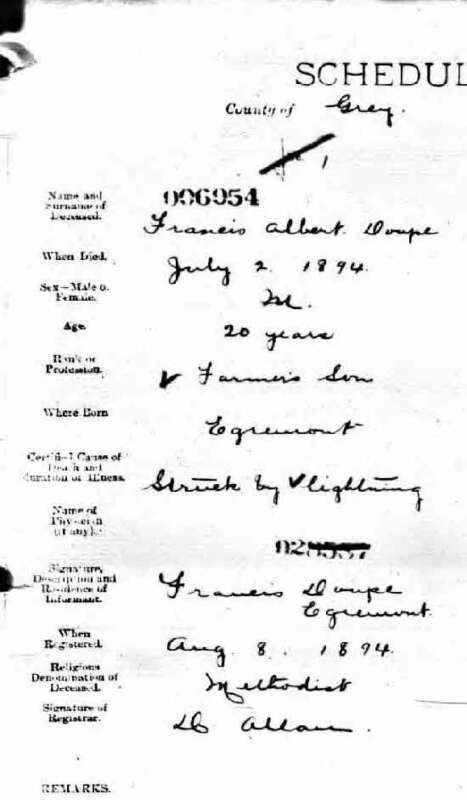 (Witness) Fact 1 Ella May Doupe witnessed the Fact 1 of Amos Doupe; Family of Amos Doupe and Mary Ann Switzer of Wetaskiwin, Alberta. 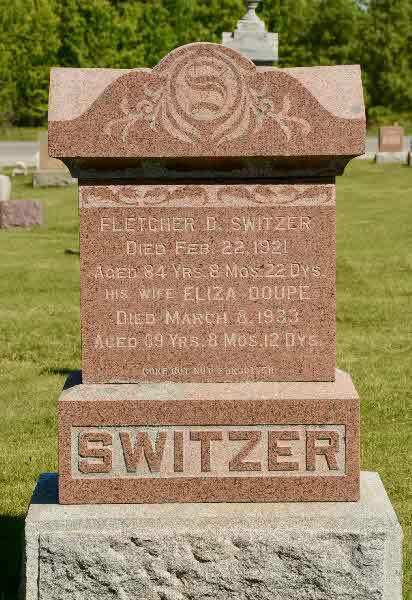 Burial* He was buried on 7 September 1924 in Flesherton Cemetery, Grey County, Ontario, Canada. 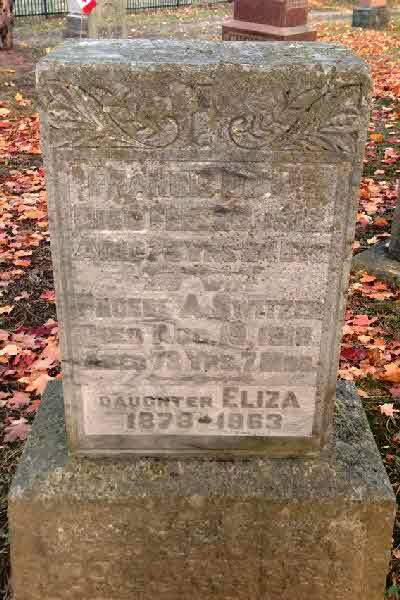 Burial* She was buried in Reidville Cemetery, Camden Twp., Lennox and Addington County, Ontario, Canada; due to accidental poisoning after consuming fly poison. 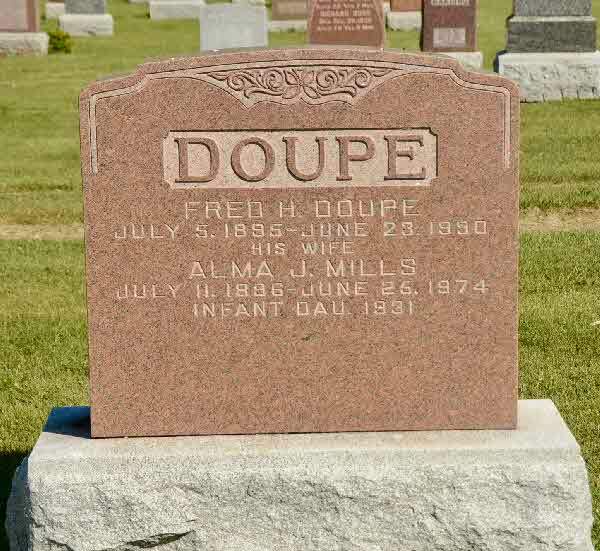 Death* Francis Albert Doupe died on 2 July 1894 in Egremont Twp, Grey County, Ontario, Canada, at age 20. 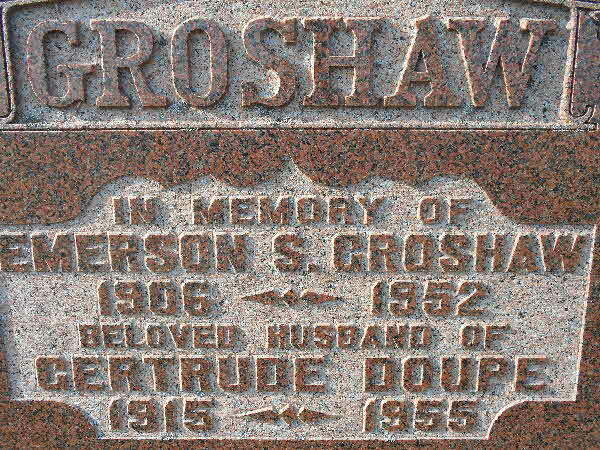 Death* He died on 26 February 1912 in Lot 5 Conc 7, Egremont Twp, Grey County, Ontario, Canada, at age 73. Burial* He was buried on 29 February 1912 in Mount Forest Cemetery, Grey County, Ontario, Canada. 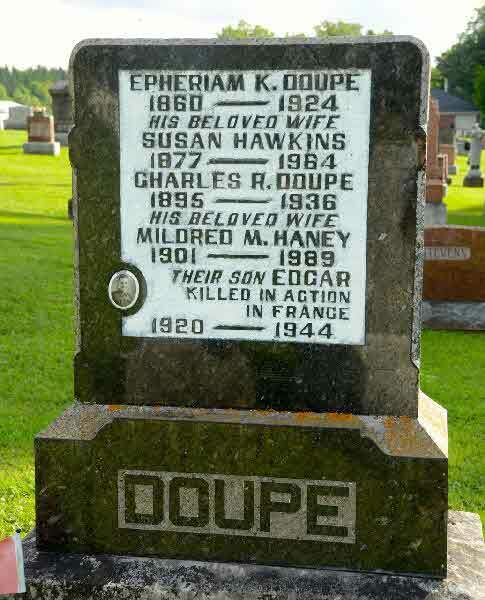 Birth* Fred Henry Doupe was born on 5 July 1895 in East Nissouri Twp, Oxford County, Ontario, Canada. Burial* He was buried in Kirkton Union Cemtery, Usborne Twp., Huron County, Ontario, Canada. 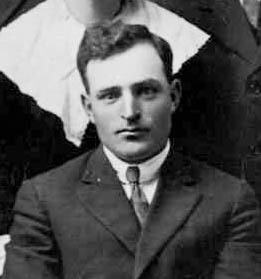 (Witness) Fact 1 George Amos Doupe witnessed the Fact 1 of Amos Doupe; Family of Amos Doupe and Mary Ann Switzer of Wetaskiwin, Alberta. Birth* George Andrew Doupe was born on 29 December 1901 in District of Nipissing, Ontario, Canada. Burial* She was buried in Bethesda Community Cemetery, Moorefield, Wellington County, Ontario, Canada. 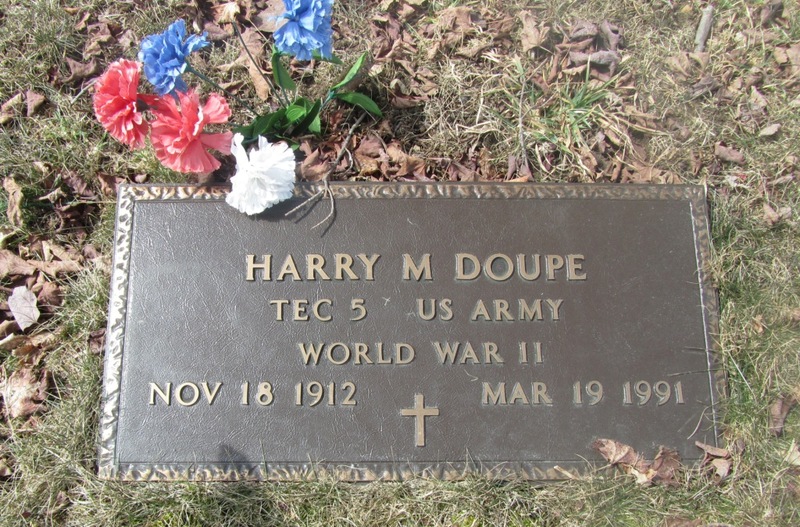 Death* Harold Alvin Doupe died on 29 November 2013 in McCall Centre for Continuing Care, Etobicoke, York County, Ontario, Canada, at age 93; DOUPE, Harold A. 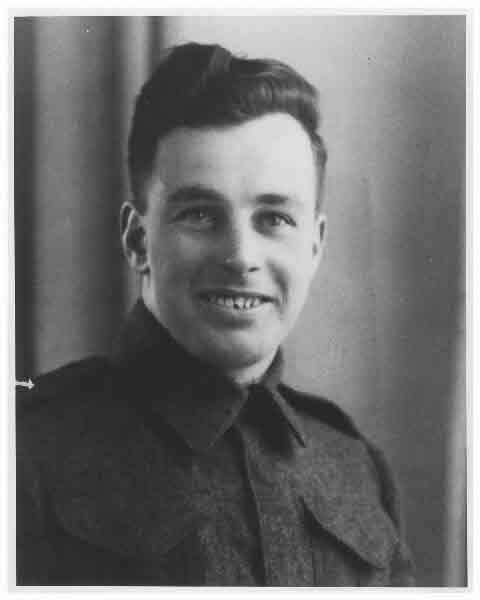 (Tod) - 1920 - 2013 Passed away peacefully Friday, November 29, 2013 at McCall Centre for Continuing Care in Etobicoke. Devoted husband to Iowna, loving father to Barbara Davie (Phil), Cindy Parkin (Scott) and predeceased by daughter Patricia Orr. Cherished grandfather to Andrew, Cameron, Devon, Josh, Tara and Lee and great-grandfather to Cole, Graham and James. Kind, loving, generous, thoughtful, intelligent and humorous, Tod will be missed by all who knew him. 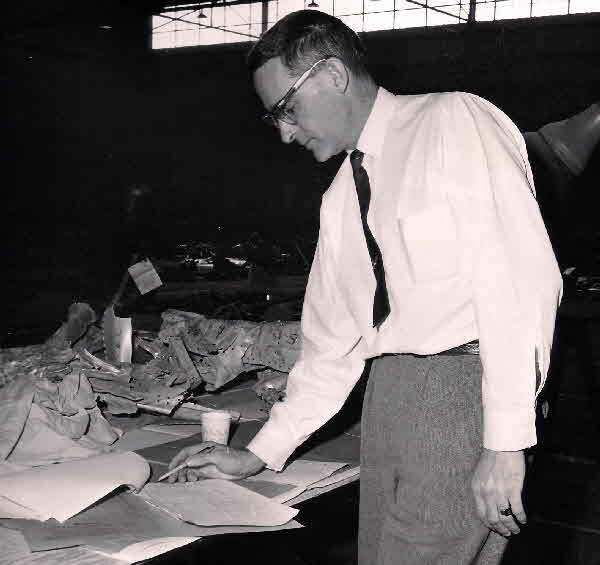 After serving in the Navy in WWII, Tod enjoyed a career at Bell Canada. 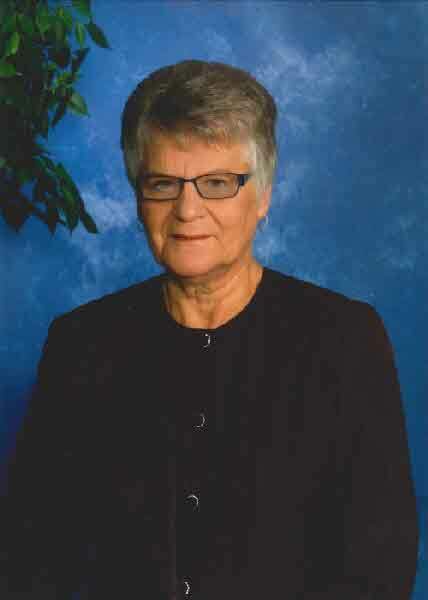 Funeral is Tuesday, December 3rd at 11:00 a.m. at Skinner & Middlebrook, 128 Lakeshore Rd. E., Mississauga. 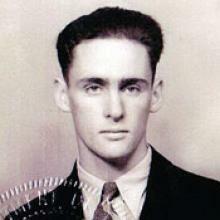 Birth* Harry Merle Doupe was born on 18 November 1912 in Harley Twp., District of Timiskaming, Ontario, Canada. Burial* He was buried in Wayside Rest Cemetery, Pharsalia, Chenango County, New York, United States. 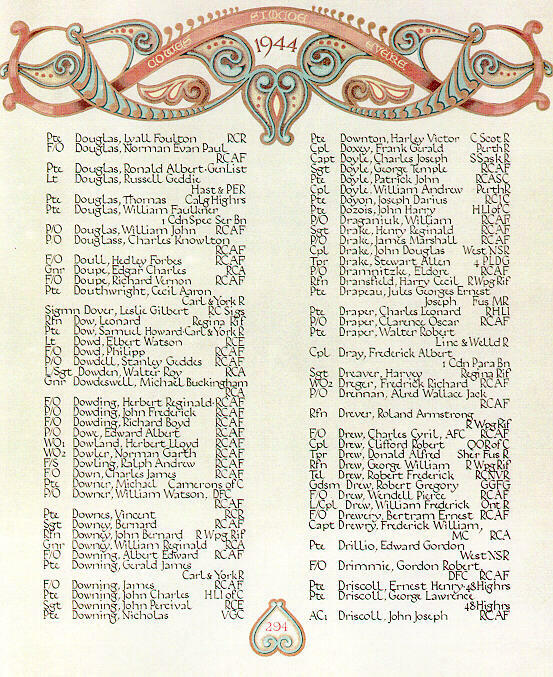 [S1] Ancestry.ca, online \Ancestry.ca\, Provost/Hancock/Nelson Family Tree by Marla Hayes. Hereinafter cited as Ancestry.ca. 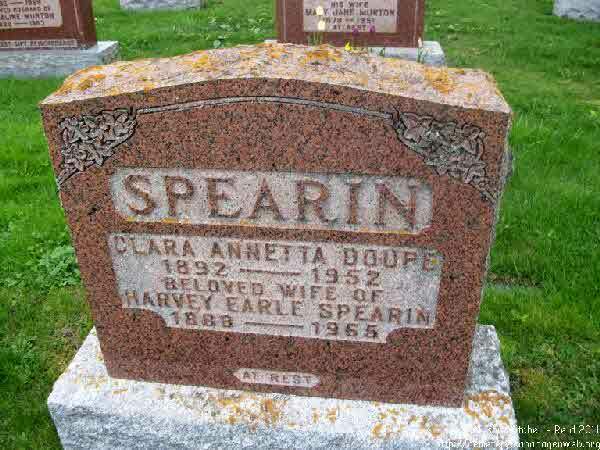 Burial* She was buried in Hazelmere Cemetery, Hazelmere, British Columbia, Canada.